Thinking of dying your hair? If you invest in color at a professional salon, it’s smart to protect it with special products and precautions. 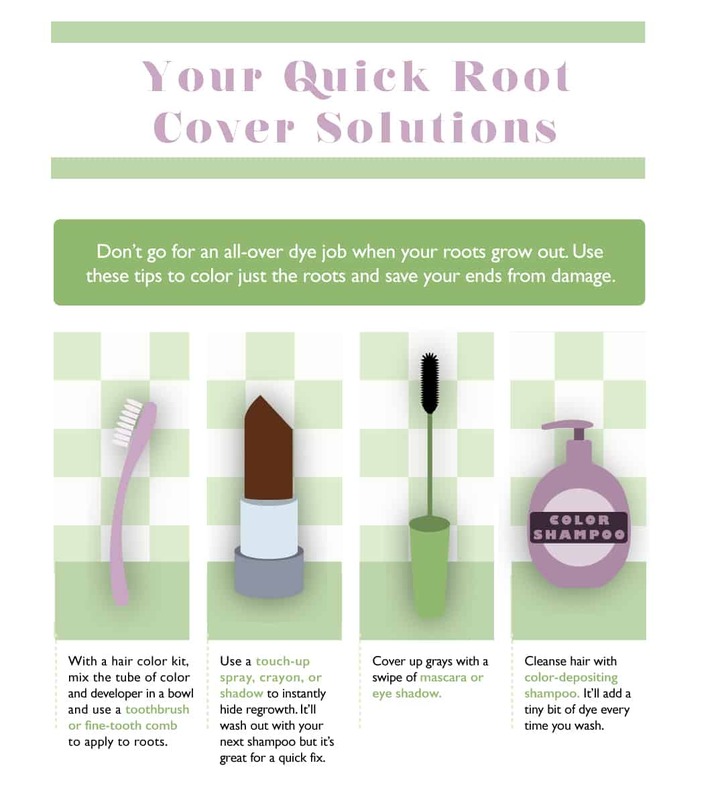 Before you opt for the next hair color trend or go dark for cold-weather months, try some tricks to extend the life of your color so it won’t fade before your next salon visit. Switch to a color protection shampoo with UV filters and without sulfates (the ingredient responsible for suds). The UV filters protect strands from fading in the sun and a sulfate-free shampoo gently cleanses without stripping the dye. Even if you use color protection products, work toward shampooing less—three times a week maximum. The cleansing agents can open up the cuticle and leave color looking dull. And wait at least 24 to 48 hours after your dye job before washing. Do condition after every wash and use a deep conditioner or hair mask once a week. The stronger concentration of ingredients penetrate deeper than regular conditioner. Deep conditioners seal the outer layer of the cuticle, which helps prevent color fade. Try to keep the water at a warm temperature—scalding hot opens the cuticles and lets the color molecules escape. Rinse with cold water to seal the cuticle. Like your skin, hair needs protection from UV rays. Use an SPF leave-in treatment or wear a hat when outdoors to block the sun’s rays. Direct sunlight can lighten blonde hair, causing it to fry. Darker browns and reds tend to become brassy with too much sun exposure. If you’re a swimmer, make sure to wet hair before diving in so strands don’t absorb as much chlorine, and consider wearing a swim cap. The chlorine itself doesn’t turn hair green, but the metals in chlorine bind with the protein in the hair shaft to give a greenish hue. Even if hair doesn’t turn green, chlorine can lead to dry, porous hair that’s prone to discoloration. Try using an oil treatment before donning the cap to create an extra barrier, and always rinse immediately after you swim. Your hair needs protection from more than just the sun. Heating tools including straighteners and curling irons can also wreak havoc on dyes. The free radicals produced in the heating process can fade color by opening the hair cuticle and breaking down color molecules. Look for conditioners with antioxidants such as grape seed extract and vitamin E to reduce free radicals. And always use a heat protectant spray before styling: Dyes strip the protective layer so hair is more vulnerable to dryness from heat tools. Dyes contain hydrogen peroxide, a bleaching agent that’s used in light and dark dyes to destroy the natural color, and ammonia, which lifts the hair cuticle to deposit the new color. These chemicals break down the protective layer of hair. Limit salon visits and apply dye at home to the roots to give ends a break. If you just spent a lot of time in the sun, there’s a chance color will become brassy. Reclaim the color by heading to the salon for a gloss or glaze treatment. It’s not as expensive as a full color but helps restore the original hue. Unfortunately, water is the biggest color-stripping culprit. Plus, additives in tap water—including chlorine and magnesium—can strip dye. Try a showerhead designated to remove these agents to protect colored hair, or do a rinse with club soda to remove any chlorine or magnesium buildup. Hydration is key and glossy hair makes the color look more vibrant. Apply a gloss or glaze treatment at home to boost shine. At night apply an oil treatment to penetrate strands, then wrap into a towel before going to bed. Wash out in the morning.